Seeing your book published in another language gives the same thrill as when I first published. For any author, its a tangible recognition of your work – a metric second only to the number of sales! It means a local publisher has recognised value in your work (purchased the rights to translate it), then goes to the considerable effort of reproducing all those charts and graphs, printing and then marketing it in their own language. I control the English version only, and I have no direct control of translations of Advanced Web Metrics with Google Analytics. For a semi-technical book with in-depth explanations, errors and misunderstandings creep in during the translation process. Poll: Would you prefer to have my book in your own language? The first copy of my book in German arrived at home this week. Germany is an interesting market from a web analytics perspective. The government there is pushing the privacy debate (and the boundaries) on how visitor data can be collected, what constitutes personally identifiable information, and what control the actual visitor has over the whole process of collecting their visit history. I am a strong online privacy advocate, so I welcome the discussion. 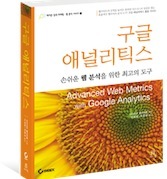 Therefore I began to think again of the “Google Analytics and Privacy” section of Chapter 3. It’s an area I plan to revisit in more detail in my next book (due autumn 2014). For example, some of the privacy concerns raised in Germany are flawed and misguided – and I always get nervous when governments try to control the web… BTW, the PII can be tracked with mobile analytics is a lot more scary!